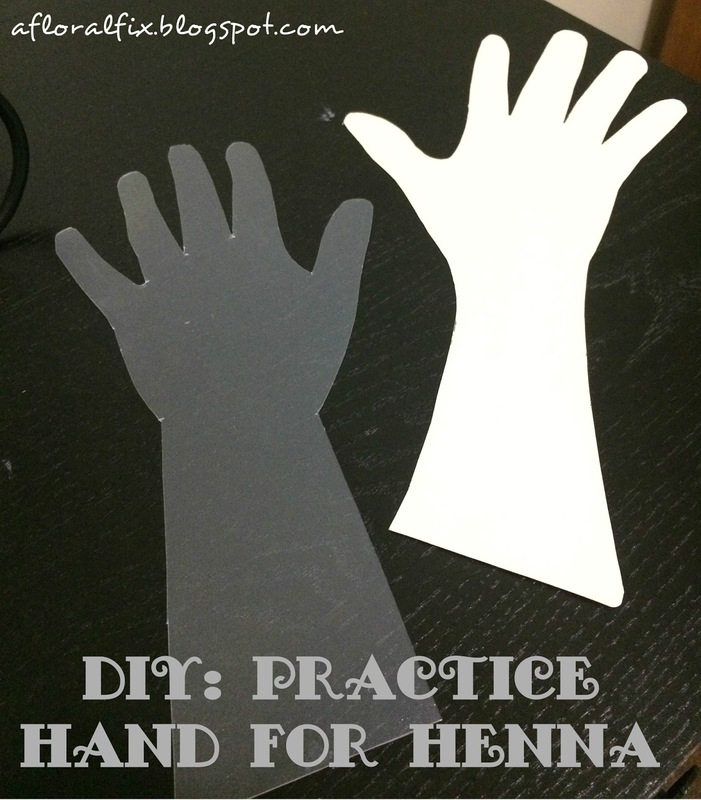 A Floral Fix: DIY PRATICE HENNA HAND!! Recently, I have started to follow quite a few henna artist on Instagram. Striving to become a better henna artist myself, it is wonderful to get tips and inspiration from the global henna community via social media. 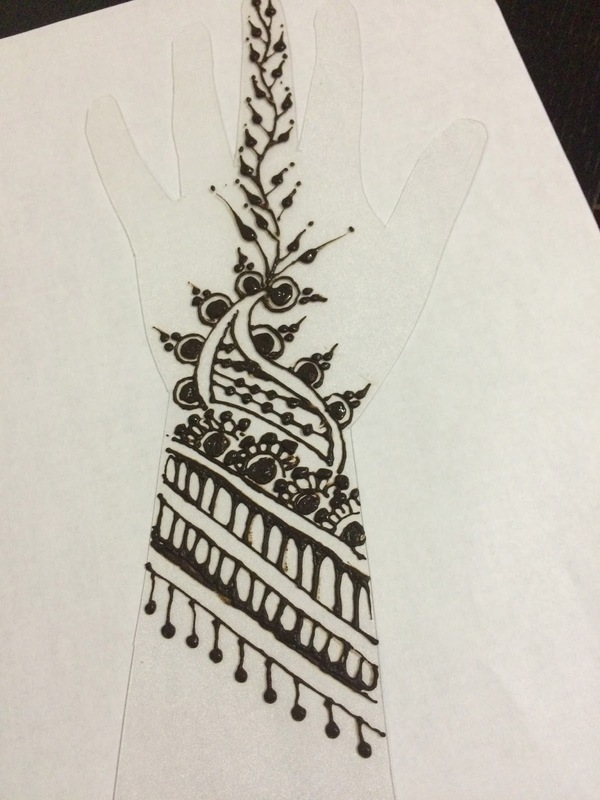 Many of henna artist are using this thing called "Acrylic Practice Hand for Henna". 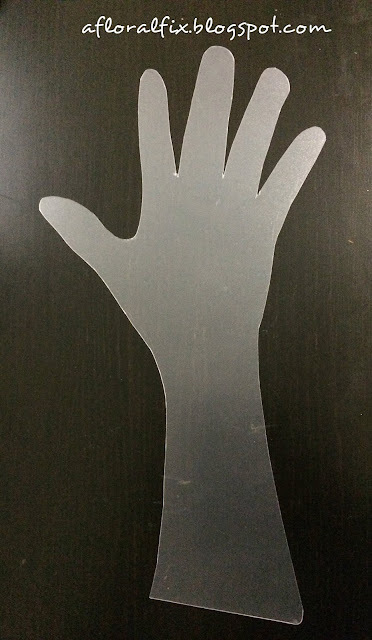 Basically, it is a hard surfaced board in the shape of a hand. This is perfect for practicing henna, especially if you're running out of places to henna on yourself lol XD. It is great to practice out ideas, take a picture of different works, wipe it off and move on to the next. 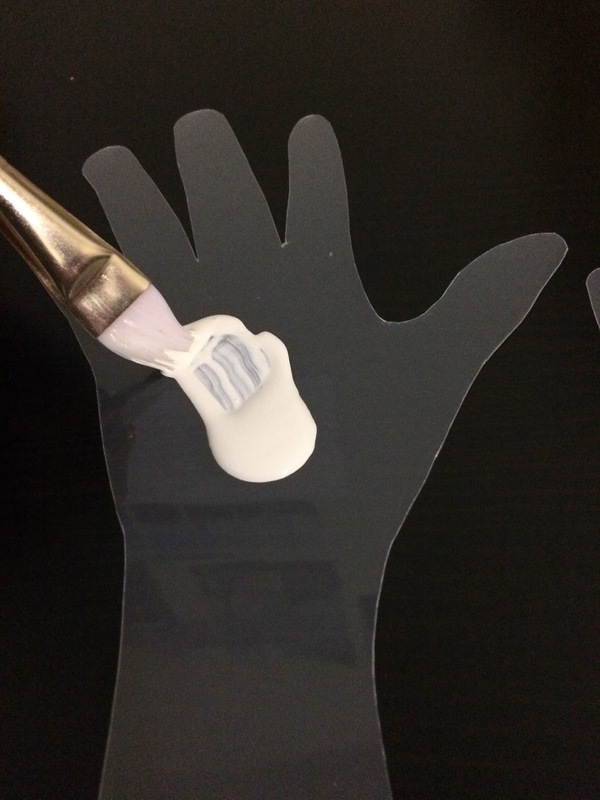 I realllly wanted a acrylic hand to practice on! I was very close to purchasing a $25 one online. However, being me I didn't want to spend the money for a hand board lol. And so I found a solution to my problem, Here is it. Honestly you can just practice on these without doing anything to it. I purchase clear ones because I wanted to turn them white. Also you can simply purchase the opaques colored ones. My table is black so clear isn't the smartest choice to view my work, which mean I'm going to have to put white paper under it. 2. Grab a piece of paper & a pen/pencil. 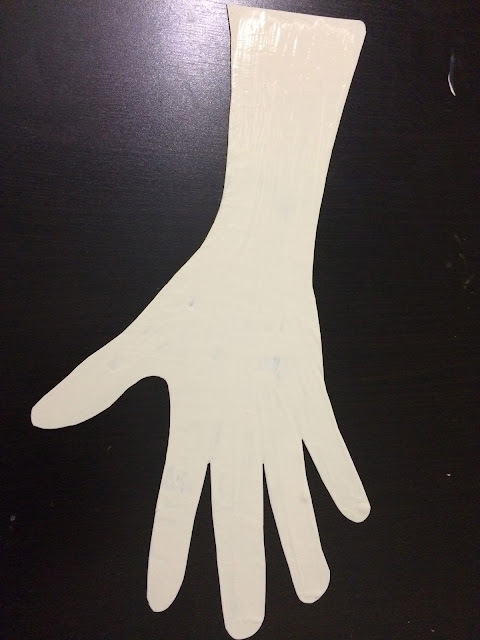 Now to create your hand, you can do one of two things. Good job! 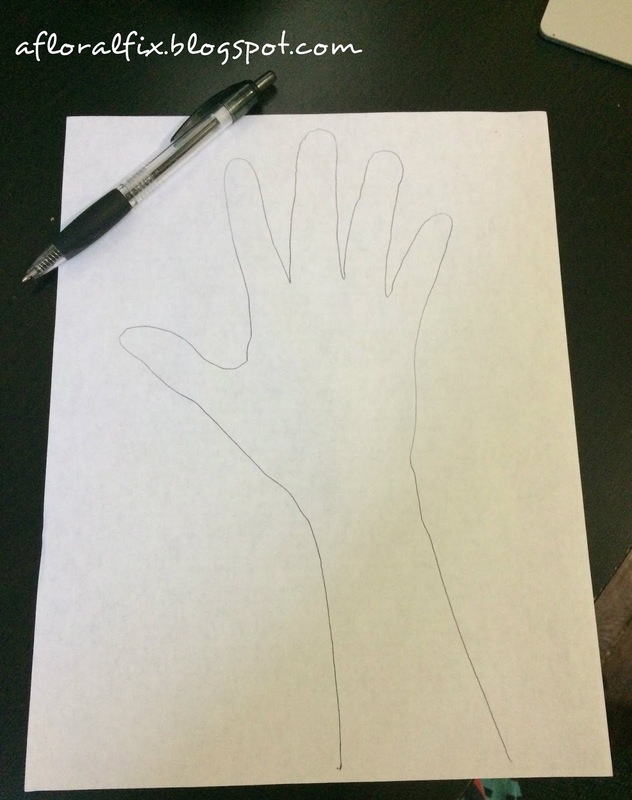 Now you have yourself an outline. 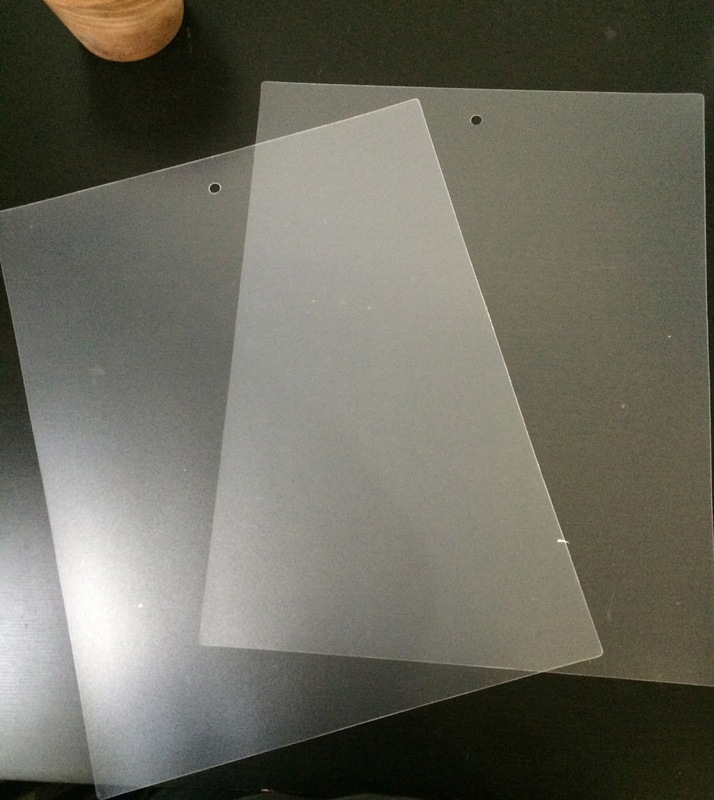 We are going to use this outline to cut our flexible cutting board. Now you might ask, why didn't I simply trace my hand on to board itself? Good questions! I at the time for whatever reason thought this process would be easier if I did it like this. For all my short cutters, simply trace your hand on to the cutting board and cut out your hand shape. For my fellow instruction followers, let's go on with my madness shall we? 3. 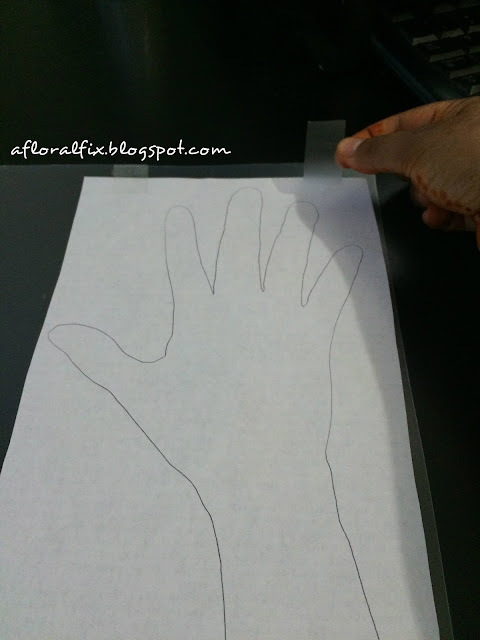 Grab tape, scissor and your outline. Simply tape on your outline so it doesn't move while you cut it out. 4. Paint it! I used a acrylic paint on one side only. So it has been a few days since I made these and I have to note that my paint did in fact peel off, this is because I wash the hand a few times. 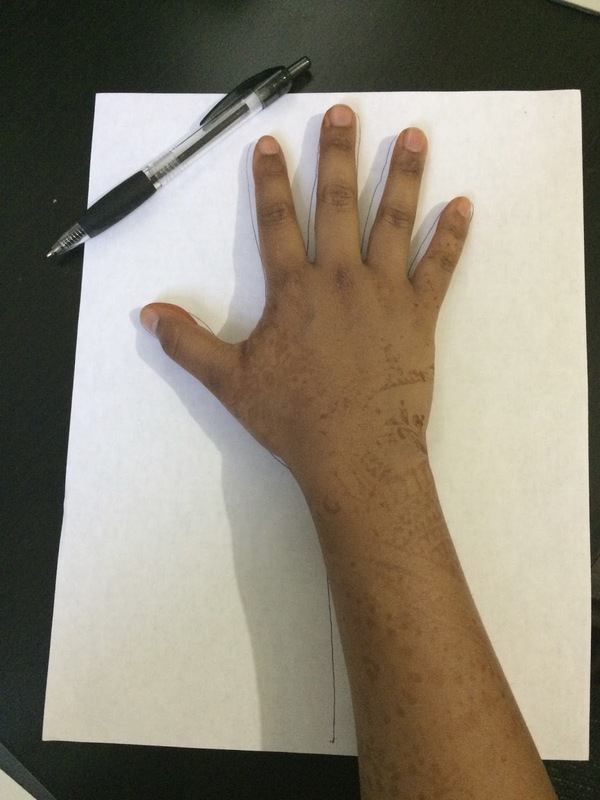 If you just wipe off your henna, it shouldn't be an issue. If it is, try a paint that works well on plastic. Or like I said purchase colored flexible cutting board.